Home>News of Metal Industry > China: Manufacturing growth up, but export orders down. China: Manufacturing growth up, but export orders down. China’s manufacturing output saw a marginal increase in April, due to the output speed increasing slightly. However, declining export orders also caused inventories to rise and firms to shed staff. The Caixin/Markit Manufacturing Purchasing Managers’ index (PMI), which focuses on small and mid-sized businesses, climbed to 51.1 in April from a four-month low of 51.0 in March, and topped economists’ forecast for a modest slowdown to 50.9. In terms of Steel, the S&P Global Platts China Steel Sentiment Index rose to a 25 month high, from 69.09 in March, to 82.78 in April, due to high seasonal demand coupled with pent up demand from winter constrictions on steel production. Given the current trade disputes between China and the United States, the sub-index on export orders decreased for the first time since November 2016. An official PMI survey showed shipment orders slowing. Softer demand could squeeze the profit margins of many Chinese firms, and there has already been slower investment growth and a subdued property market. So far, Beijing seems to have successfully balanced the impending debt risks with sustained growth. Economists predict China’s growth rate to be around 6.5% for 2018, in line with Beijing’s target. 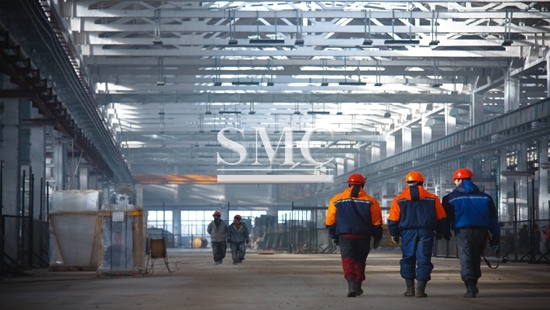 SMC provides top quality metal related products, suitable to a wide range of applications, packaged to your individual needs. For more information about what we do, and our products, please visit our website here.